The humorous blog post comes as part of a series of Christmas themed posts about emerging policy concerns, one of which is global warming. 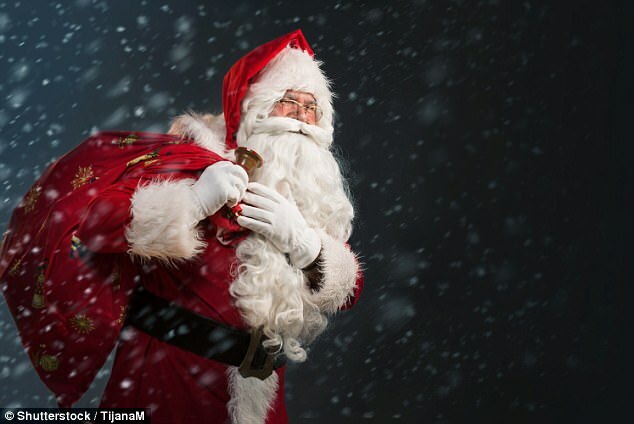 In other tongue-in-cheek messages Horizon mention Santa buying a self-flying sleigh and even investing in Bitcoin. However, the site's latest blog post focuses on climate refugees. 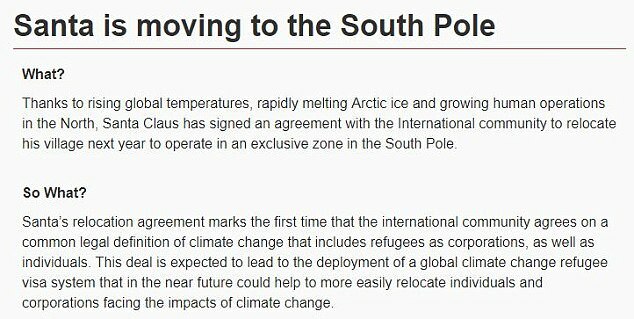 'Santa's relocation agreement marks the first time that the international community agrees on a common legal definition of climate change that includes refugees as corporations, as well as individuals,' reads the post. In 2014 United Nations scientists warned climate change could cause refugees to flood into Europe as they flee weather and food shortages. The dire warning was one of the conclusions of a comprehensive report on the impacts of global warming published by the UN Intergovernmental Panel on Climate Change.